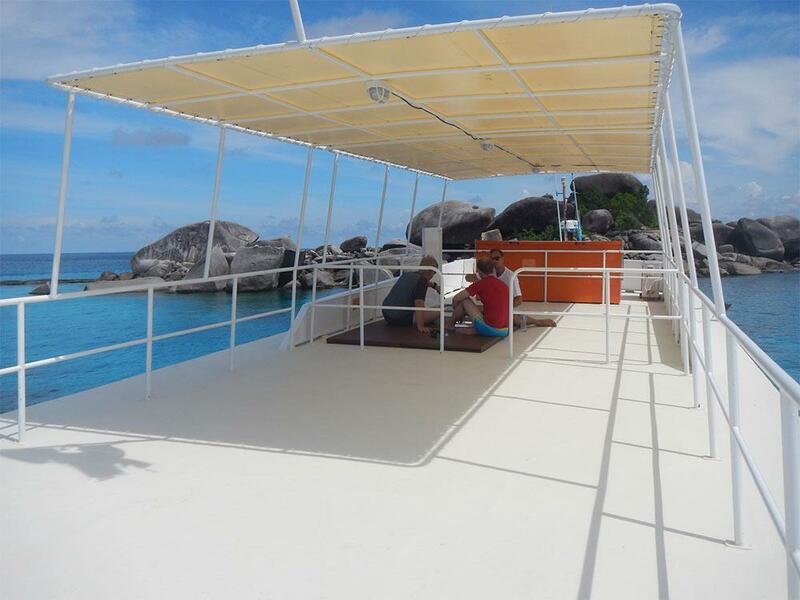 There is usually some kind of compromise to be made when choosing which Similan Islands diving day trip to join. 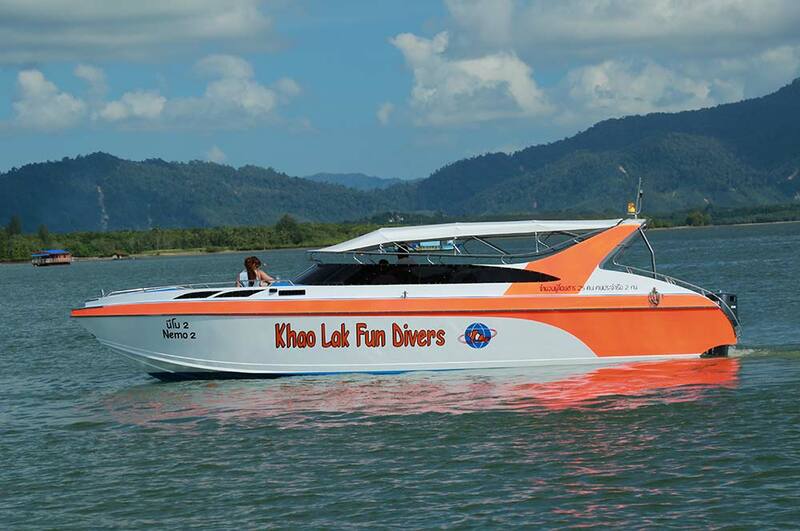 Smaller boats are generally faster to the dive sites. But spending the whole day on a speedboat, especially rocking around at the lunchtime surface interval, is not much fun. Larger day trip boats may be more comfortable, but journeys can be three hours or more each way. 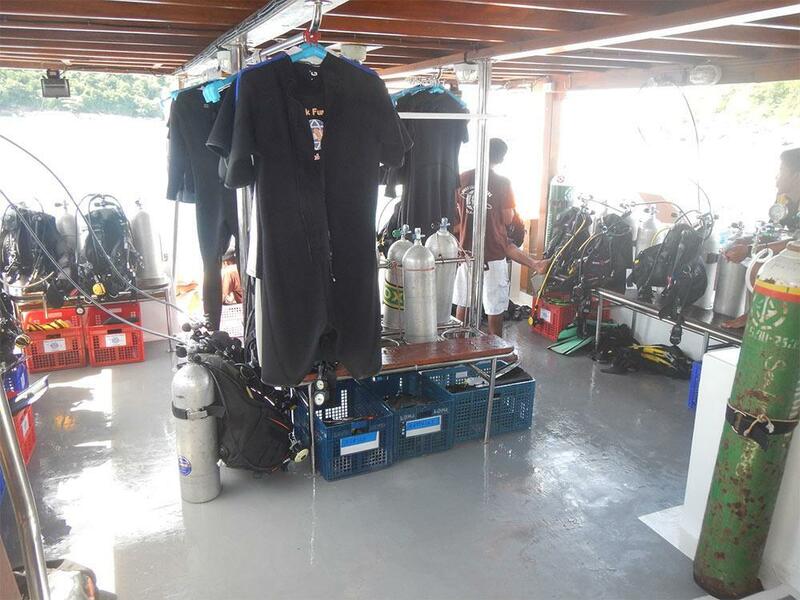 Similan diving day trips on Nemo 2 give you the best of both worlds. 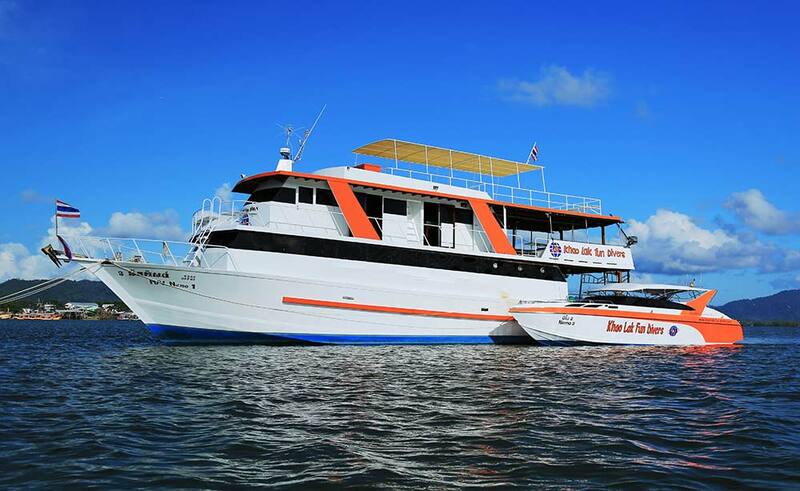 Transfers are on Nemo 2 speedboat from Tab Lamu Pier in Khao Lak, then you spend the whole day on board MV Nemo 1, which is a brand-new liveaboard board that has a large dive deck, proper dining area and plenty of space to walk around. 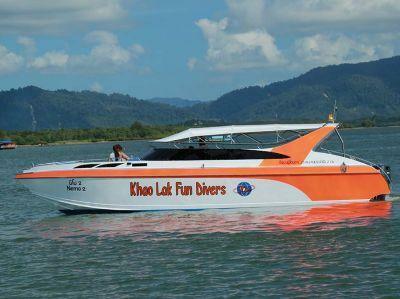 The large boat stays out at sea, cruising around the best dive sites, including Koh Bon & Koh Tachai. 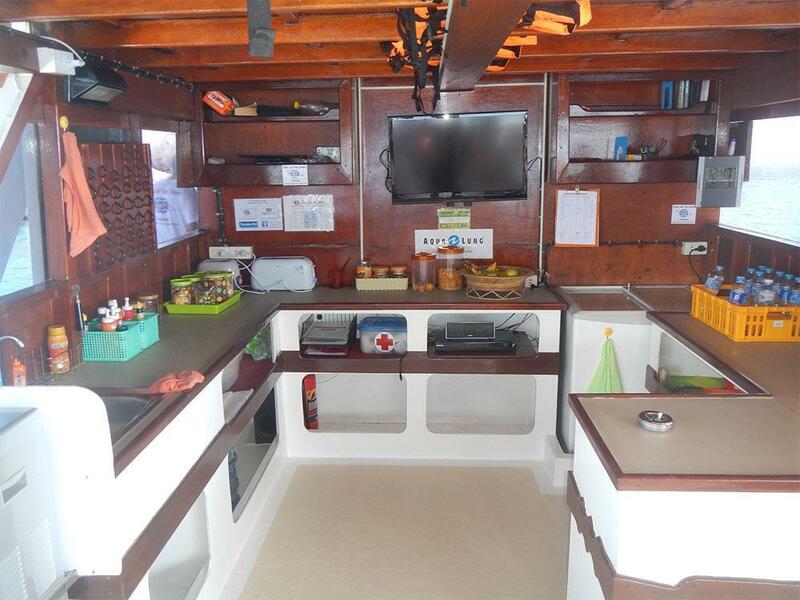 Day trip divers can enjoy the best of short journey times, a large & stable diving platform, and freshly-cooked proper meals for lunch. 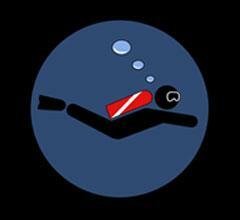 During the week, there is a different diving location every day. 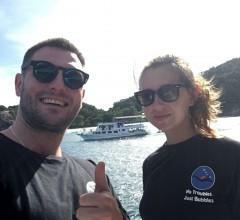 Therefore, divers who want to dive on two or more consecutive days aboard Nemo are guaranteed to get excellent and varied diving locations. 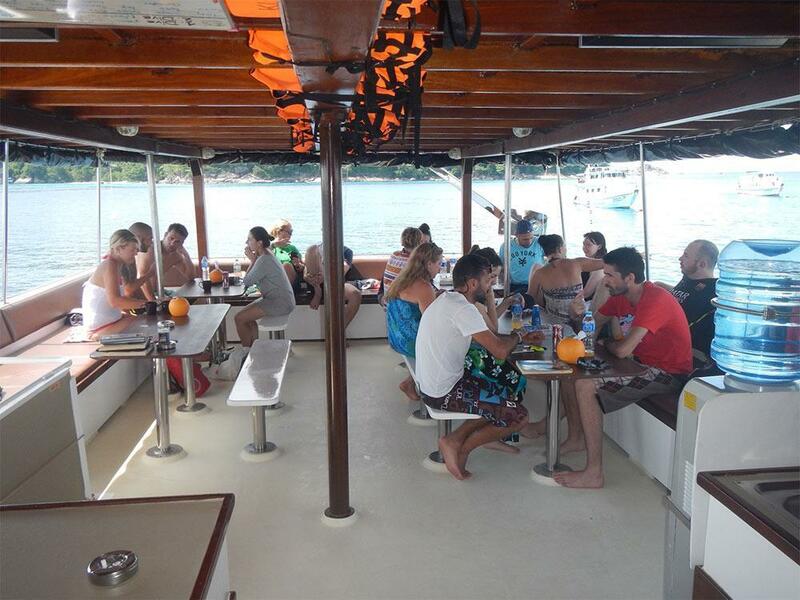 In addition to fast transport, a big boat to dive from, delicious food and great diving, Nemo 2 is extremely good value. The trips are very competitively priced. 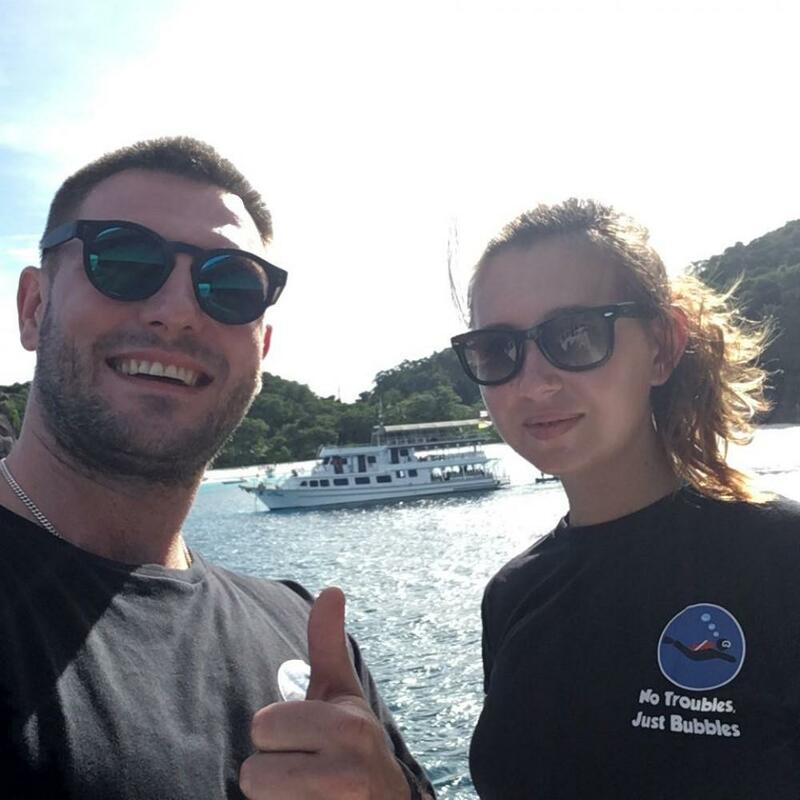 Finally, the boat is owned & run by a very-experienced Swiss couple, who make sure that everything runs like clockwork, but with lots of friendly smiles, fun and Thai hospitality. Nemo 2 guests need to stay in Khao Lak (not in Phuket) the night before. Very good staf, thank you Bettina !! Great experience !